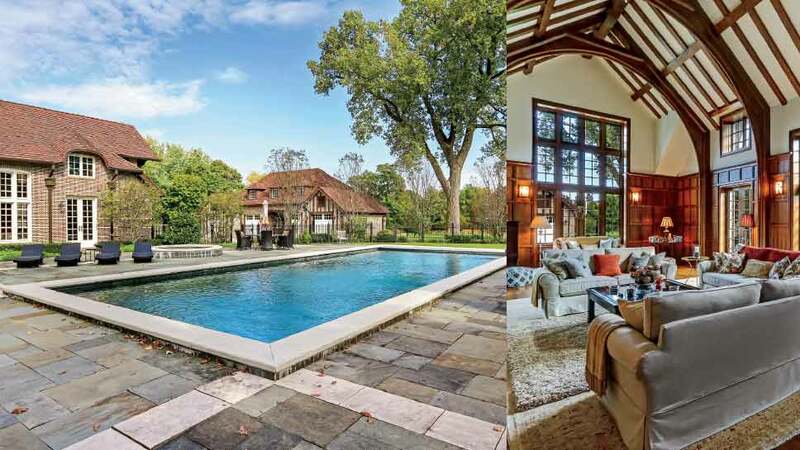 From the elite Armour meat-packing family to Mr. T, this historic, 7.5-acre estate on the corner of Green Bay Road and North Western Avenue has had some famous owners (with infamous stories) over the last century. But today, the 1910 property known as Two Gables is more beautiful than ever—with an award-winning 2006 restoration that has preserved the masterpiece for generations to come. The tale of Two Gables opens in 1910 with an East Coast architect named Harrie T. Lindeberg, who built an elegant, well-appointed mansion on a 7.5-acre estate for Orville Babcock, an investment banker in Chicago. It was a golden age in Lake Forest’s development, with the house going up six years before architect Howard Van Doren Shaw completed his iconic Market Square. 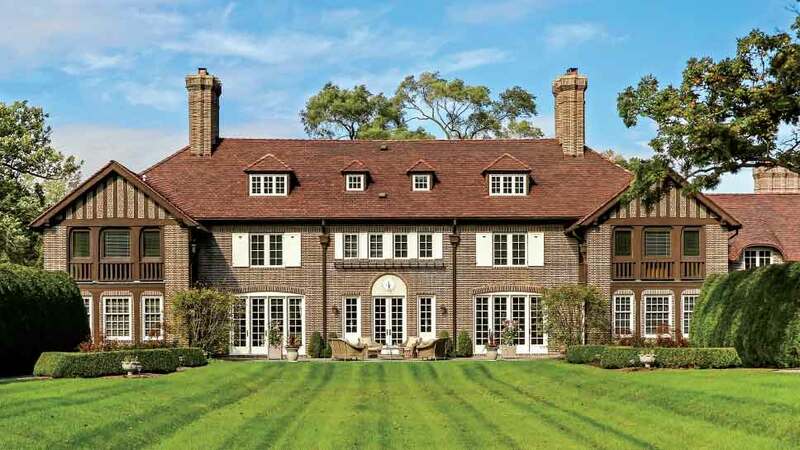 Situated between Green Bay Road and North Western Avenue, three blocks from Lake Forest’s emerging downtown, Two Gables joined the ranks of Lake Forest’s most elite estates. But Babcock only lived there for three years before selling it to Laurance Armour of the prominent Chicago meat-packing family. Lasting more than 70 years, the Armour chapter was the most enduring and significant era of this home’s history. 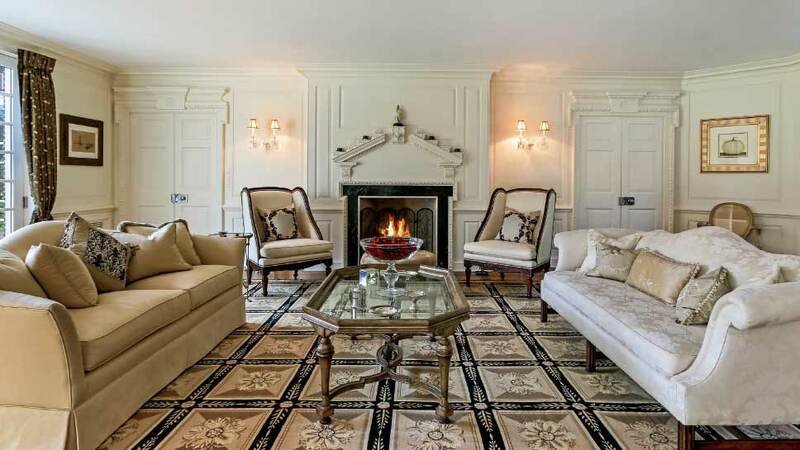 It includes the hiring of renowned architect David Adler to redesign and renovate the home after a 1928 fire and a partnership Adler had with his highly regarded interior designer sister, Francis Elkins, to finish the interiors of Two Gables. Completed in 1929, the post-fire resurrection was extensive and luxurious—including new plaster ceilings, new millwork, wainscoting, a pickled pine library, and original Baccarat chandeliers and sconces. It was quite extraordinary and built to equip Two Gables with the most modern efficiencies of the day. However, what some long-time Lake Foresters may remember most about this historic estate today is an unfortunate, highly-publicized series of events that transpired after the Armour family sold it to Hollywood actor Laurence Tureaud—better known as Mr. T—in 1986. The actor’s tenure at Two Gables was relatively brief, but it left a lasting impression. Aside from being remembered for his attention-grabbing antics around town, Mr. T became notorious for cutting down more than 100 mature trees on this grand old estate. It was covered nationally, and resulted in local village ordinances to prevent such things from happening again. While the legend remains, Mr. T’s time living at Two Gables has been all but erased by the initiative of Legacy Preservation Partners in 2006 to renovate and expand the home. 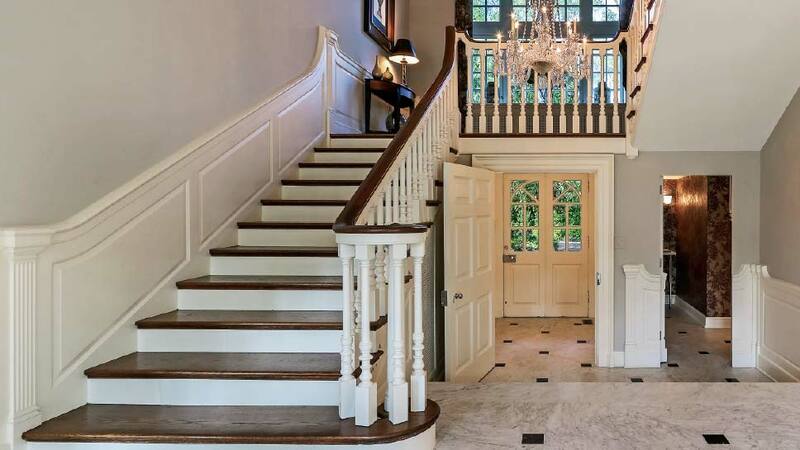 That project was awarded the Lake Forest Preservation Foundation Rehabilitation Award, with work that continued under the care of the current owners, a couple who bought the estate after moving to Lake Forest from London, England. Most notable, particularly given the history of the property, was the planting of more than 150 indigenous, mature trees and shrubs. Between the award-winning renovation in 2006 and meticulous enhancements made by the current owners, Two Gables at age 107 is grander than ever. In what is now a nearly 15,000-square-foot home, servant’s quarters on the second floor have also been reworked to make larger, functional bedrooms and baths. All new windows, electrical, plumbing, and HVAC was also done at the time. The property also now boasts a 25×50-foot in-ground pool with bluestone deck, separate pool house, courtyard off the kitchen eating area, and additional bluestone patios on the south side opening to the expansive, private gardens. For more information about Two Gables, contact Andra O’Neill at @Properties, 600 N. Western Avenue, 847-650-9093, or visit atproperties.com. I will purchase this house and uproot every tree planted!